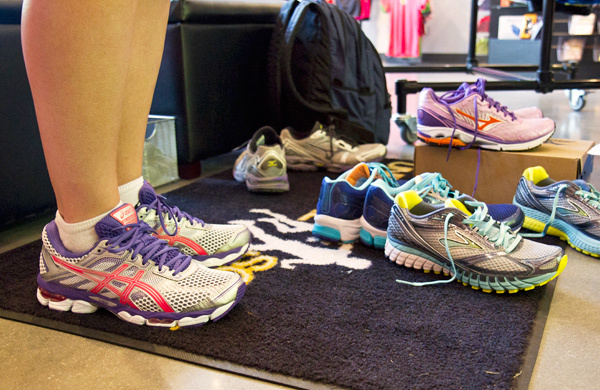 Our FIT PROCESS helps you find the proper running shoes for your feet. 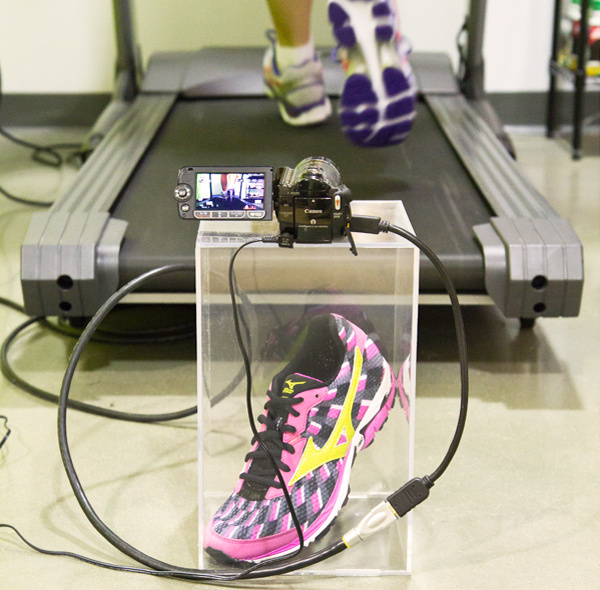 The Universal Sole Fit Process begins with an assessment of your foot type. Staff will determine your foot shape and foot biomechanics (the way your foot moves!). These two factors help in the selection of optimal types of shoes for you to try on. Watching you walk can help determine how your foot moves during a variety of weight-bearing activities such as running, walking, weight training, elliptical trainer, step trainer, and other workout equipment. Staff will take a measurement of the length and width of your feet. When fitting for an athletic shoe, the general rule of thumb is to size up ½ to 1 full size from the measurement on the Brannock Measuring Device. 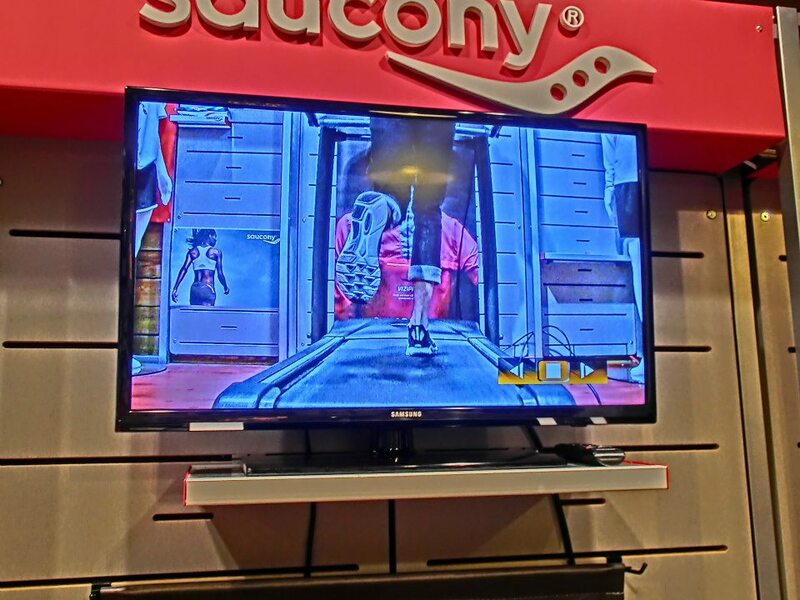 This customer measures a 10.5 for a casual shoe, and will most likely need an 11 to 11.5 for his running shoe. Staff will watch you run or walk in the shoes you are trying on to assess how the shoes work with your bio-mechanics. 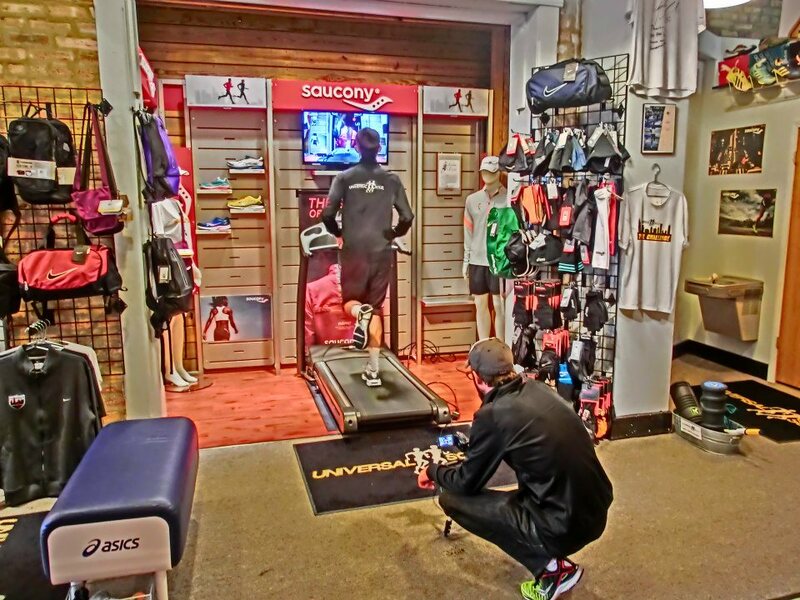 Universal Sole has a treadmill for trying out shoes, although on sunny days, we’ll take you outside to give the shoes a spin on the sidewalk!